Anyway, been a fantastic year for both blogs, and sincere thanks to all who've been in touch in any way, provided content or ideas, and helped keep these blogs, labors-of-love. 2) Haven't done an interview here for awhile, so if you wish to suggest someone you'd like to see interviewed let me know (especially if you can provide an email address for the suggested person). => p.s. : I've attempted to interview every person suggested in the past, so if you previously recommended someone and it never happened it's either because they didn't respond to a request, or in some cases I simply couldn't find a current/working email for them. 3) I've never taken 'guest posts' here, but might consider it in the next year (nothing spammy or merely selling a product)... if you have an interesting, provocative, or timely (mathy) subject you'd like to address, maybe shoot me an email about your idea. Perhaps this being an election year (U.S.), that will offer new possibilities too. a) If you enjoy Tyler Vigen's humorous "Spurious Correlations" website (a sort of parody of statistical correlations) you can get a hardback version of it in his book of the same title. "Birth of a Theorem" by Fields Medalist Cedric Villani got some mixed reviews, some of which though were very positive. "The Fascinating World of Graph Theory" (Benjamin, Chartrand, Zhang) -- a mini-popular-text on graph theory, probably for a narrower audience than other books here, but worth a mention. I'll also note that Princeton University Press has just released the 700-page (and pricey) "Leonhard Euler: Mathematical Genius in the Enlightenment" by Ronald Calinger, and additionally from Princeton, this year's volume of "The Best Writing On Mathematics 2015" is due out in Jan. 2016.
c) A 2014 book that came out in paperback this year, and I loved, was Gary Smith's "Standard Deviations," another in the growing genre of statistics treatments for the masses. d) Matthew Watkins' older trilogy on prime numbers was re-published this year by Liberalis Books; I'd still like to see these wonderful British volumes get WIDER circulation. "Genius At Play" nudges out Michael Harris's eclectic, provocative, (almost oddball) "Mathematics Without Apologies," which I thought I'd relish more on a second reading, but actually fell slightly flatter on the re-read. Harris, more than any mathematician I've read, has a knack for saying things that sound interesting, but that are just vague or ambiguous enough to leave one uncertain of what his exact point is. That sounds like a criticism, but in some perverse way it makes his writing all the more thought-provoking and engaging... and good enough to just edge out my number 3 pick, Marc Chamberland's "Single Digits," a fabulous compendium of math examples, more geared to mathematicians than general readers. Three VERY different, very wonderful books for the math gourmet! They won't suit everyone's taste, but I really enjoyed ALL of these! Left off of this personal list are dozens of other math books from the year that I either didn't look at or that simply didn't 'ring my chimes.' 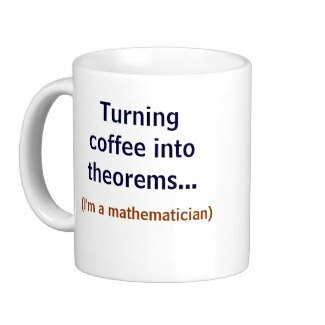 But if one of them did 'ring YOUR math chimes' feel free to give it a plug in the comments below as a possible stocking-stuffer in the weeks ahead. Anyway, to all the readers out there... bon appetit and happy holiday shopping for your math friends (everyone wants math books for Christmas, right ;-) Can't wait to see what 2016 has in (book)store(s) for us. 12) And of course pick any day over at MikesMathPage and you'll likely find something of interest. 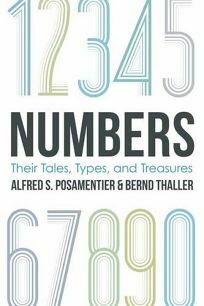 13) Last weekend I reviewed John Allen Paulos' new book, "A Numerate Life," and this coming Sunday I'll have up my wrap-up of popular math books for 2015. "What a wee little bit of a person's life are his acts and his words! His real life is led in his head, and is known to none but himself... Biographies are but the clothes and buttons of the man. The biography of the man himself cannot be written." 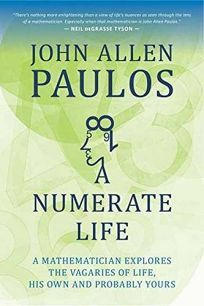 A blurb today on John Allen Paulos' latest book (released in paperback), which he terms a memoir, "A Numerate Life." I expect this will be the last book I'll review this year, and it will be added to my list of 10 favorites for the year to be posted soon. The volume is slightly reminiscent of Martin Gardner's autobiography, "Undiluted Hocus Pocus," with a similar light, off-handed, sometimes rambly, often nostalgic style reflecting on scattered matters that Paulos either deems important or simply remembers fondly from his varied but math-centered life. It is relatively short (under 200 pgs. ), a bit quirky, and somewhat informal... you can almost imagine Paulos, like your grandfather, in a big ol' Lazy-Boy chair relating his life and thoughts on a Sunday afternoon. I think it definitely helps to have read previous of Paulos works and already have a sense of his perspective, to accurately take in the recountings and musings in this volume. The same was true of Gardner's book, which was probably most appreciated by those who already felt they knew Gardner somewhat. If you know nothing about Paulos, and pick up this book, it may come off as self-indulgent or overly introspective, including matters that could strike uninitiated readers as trivial (like a paragraph on the logical approach to leaving the toilet seat up or down), but that Paulos recognizes exemplify his consistent, rather empirical, approach to life; he is if nothing else, always the teacher/explicator/analyzer. There are bits of mathematics sprinkled throughout the book as well, moreso in the second half than the first half. Paulos touches on all the topics he's addressed in prior works: education, probability, coincidence, the stock market, religion, in addition to math. Anecdotes and reflections abound here... a summing up as it were, as Paulos enters his seventh decade. Segments about his family are especially touching, and Paulos has a quirky ability to float back-and-forth between nostalgia and human musing, followed by terse, mathematical analysis of the same. You also get the sense of Paulos' frustration with "innumeracy" in America (a term he coined for math illiteracy), and the difficulty of a remedy for it. There is also a sort of "meta" quality to the content, as the author often comments on what autobiographies are and are not capable of accomplishing. I enjoyed the second half of the volume more than the first half, so be aware that if the early pages don't grab you the best is yet to come. This is a sit-back-relax-and-enjoy sort of volume, perhaps opening a window on what a typical (if there is such a thing) life of a professional mathematician is like... in some ways not much different from any other person's life... except, well, more numerate. c) And lastly, a plug for Leonard Mlodinow's latest book, "The Upright Thinkers," a very good, accessible overview and history of science. Speaking of books, I'll be perusing John Allen Paulos' latest, "A Numerate Life" on Sunday right here at MathTango. "when darkness comes and pain is all around..."
A quick note that Martin Gardner's autobiography, "Undiluted Hocus Pocus," is newly-out in paperback this week. 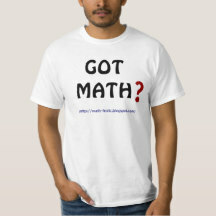 And finally, if you missed any of the Math-Frolic links this week (Mon., Tues., Thur., and today!) you should check them out for some further reads. 1) As someone who never much cared for science fiction/fantasy (nor fiction in general) I enjoyed this piece reporting on a study showing children's preference for TRUE stories over fictional stories. 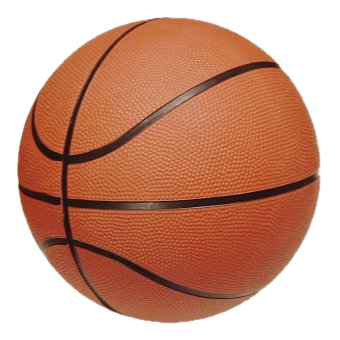 I have to confess to tiring a bit of this whole debate: there IS such a thing as being 'in the groove' or 'in the zone' or 'on your game' or 'HAVING A HOT HAND' (IMHO) and everyone who has ever played basketball or tennis or golf or bowling or any number of other sports KNOWS it (there are times we ought not downplay people's personal experience in favor of slapping dry stats and randomness onto situations that are exceedingly difficult to analyze, and where uncontrolled variables abound -- reminds me of what is routinely done in epidemiology... don't get me started). A lot depends on simply how you define "hot hand" and what units of time are considered... i.e., does someone have a hot-hand for a game, or for a 13-min. stretch of a game. 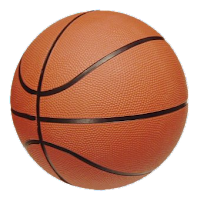 And in the case of the basketball "hot-hand" the stats often look at 2-4 shots in a row to predict the next shot, when larger samples, probably 5-10 shots minimum, need to be considered, because the variables are so-o-o many -- also, if you make 4-5 layups in a row it probably means nothing; but if you repeatedly put in shots from the far corner, the 3-point-range, and while being double-teamed (i.e, lower-percentage shots) that begins to mean something, yet I've never seen "shot-type" or shot-circumstances taken into consideration. Any athlete will have experienced that rare feeling when their health/nutrition/sleep/physiology/physical prowess/movement/mood/psychology/whatever all seem to coalesce to yield an excellent performance, where they can be depended upon, more than other teammates, for crucial plays. Not every instance that looks like a "hot-hand" of course, to the outside observer, may be one, but I'm a believer ;-) that it does exist on occasion (and am old enough to recall Wilt Chamberlain's 100-point effort in 1962, including a phenomenal 28 out of 32 free throws! And a 'hot' Michael Jordan's winning shot for the 1982 NCAA championship, or Christian Laettner's 1992 championship shot, and on and on). I s'pose next the statisticians will try to tell me that Reggie Jackson was NOT really ever "Mr. October" for the NY Yankees! ;-) DON'T even go there!! Sports performance is clearly in part a function of skill and experience (and psychology), which can vary from day-to-day (even moment-to-moment) for a given individual. A 'hot-hand-like fallacy' is more likely to hold sway in something like gambling where outcomes are more strictly governed by "chance," not skill, and a perceived "streak" may not be real (even in gambling though, it is possible that tiny, almost imperceptible clues, trends, properties, signals, are picked up by the experienced gambler at times that raise his/her performance on certain games). Anyway, while I'm merely banking on common sense here (admittedly, a dangerous medium), there are statisticians who have also found technical flaws with the 'hot-hand fallacy' argument (see Gelman, for example, here), and therefore speak of the 'fallacy of the hot-hand fallacy' to which, of course, their detractors can respond with the fallacy of the fallacy of the hot-hand fallacy... but then, I find their arguments fallacious. Now, excuse me while I go shoot some baskets, while I'm feeling kinda hot (...under the collar). As indicated above I consider the "hot-hand fallacy" and "gambler's fallacy" two very different subjects and levels of complexity; referencing them together is mixing apples and oranges a bit (though I understand why both show up in such discussion). Like most articles, this one fails to take into account the intrinsic oversimplifications of hot-hand analyses, and again treats the hot-hand as something spectators observe, rather than something an athlete 'feels' or experiences. I wish this whole area would just move along now as not worthy of further exploration (...but am sure it won't). While I'd certainly agree that the Continuum Hypothesis, by itself, didn't drive Cantor mad, it's easy to imagine his obsessive-grappling with the entire mind-blowing subject of infinity as an ingredient in the process. Zach actually touches on the broader issue of whether contemplating deep logical paradoxes perhaps leads to mental breakdowns, with other examples besides Cantor. The matter sometimes seems reminiscent of the Bible's tale of the Tower of Babel, where God thwarts the tower-builders from entering his domain by bestowing them with different languages, frustrating communication. So too several mathematicians who thought they were approaching the 'mind of God' with their exploration of deep logical quandaries, instead were thwarted and unable to complete the task at-hand. The human brain, both its capabilities and limits, is endlessly fascinating. Such ideas even bleed over into the whole Platonist/non-Platonist debate in math. Is our brain simply creating as we go along, the mathematics that seems to work in our particular universe... or are we discovering the immutable essence of all there is (as Max Tegmark argues, is the universe composed entirely of nothing-but mathematics). And if our brains are indeed approaching that latter Platonic realm, then is there ultimately a price paid for doing so? If we stare at the sun... we go blind. What happens when we contemplate the deepest, most profound reaches of mathematics (or are we merely manipulating tautologies in our brain)? Like the statement, "This sentence is false," does the recursion of mathematically-thinking about mathematics, at the highest levels, eventually result in an endless loop of no escape? Are language and logic, impediments (instead of facilitators), to endless breakthroughs? Anyway, go read the other diverse myths/legends Rowlett serves up for debunking. 4) Robert Talbert writes about his evolution as a teacher, and how thinks about himself and his students. ...as Sean Carroll blurbs, "All evidence indicates that Richard Feynman was the most quotable physicist of all time. This collection is a vivid demonstration of his wit, wisdom, and unquenchable passion for finding things out."